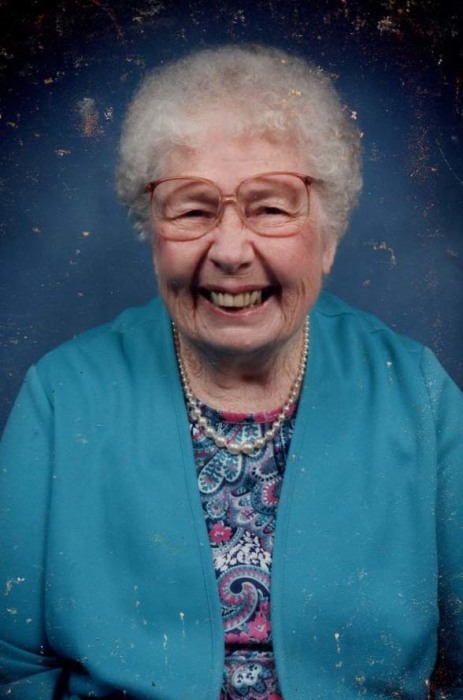 Mary Louise Evans Mabe, 95, went to be with her Lord and Savior on Wednesday, March 27, 2019 at the Hospice Home of Rockingham Co.
Funeral services will be conducted at Burton Memorial Baptist Church on Saturday, March 30, 2019 at 2:00 P.M. with Rev. Ronnie Jones and Rev. Eric Lineberry officiating. Burial will be in Lakeview Memorial Park at 11:00 A.M. Monday, April 1, 2019. A native of Pittsylvania Co., VA she was a daughter of the late James Columbus and Bertha Louise Crowder Evans and had lived in Rockingham Co. most of her life. She was a former employee of Dan River Mills and a Retiree of Creighton Shirtmakers, Inc. Mrs. Mabe was a member of Burton Memorial Baptist Church where she was a member of the WMU, the Senior Citizens, a former Sunday School Teacher and Choir Member. She was preceded in death by her husband; Allen W. Mabe Sr., 4 brothers and 2 sisters. Surviving are 2 sons; Allen W. Mabe, Jr. (Odelia) and John Robert “Bobby” Mabe both of Reidsville, daughter; Penny Nicholes of Reidsville, brother; Billy Evans (Sylvia) of Reidsville, sisters; Roberta Bryant of Eden & Mildred Manley (Curtis) of Reidsville, grandson; James Robert Nicholes.